Brand Authenticity is critical to the success of small business owners. Being authentic with your brand means that you ensure your public brand (in particular social media content and more) conveys the same brand that customers receive from you when they meet you in person and/or engage with your brand elsewhere. 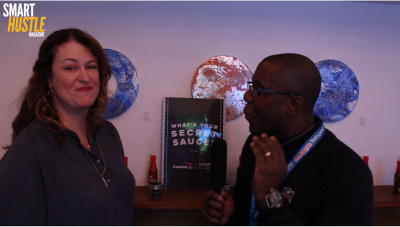 At SXSW 2016 we were at the CapitalOne Spark Business house, and one of the discussions focused on when to hire a social media manager and when to do it yourself. As an example, we spoke with the founder of Farm Girl Flowers, who told us that at this time in her business' growth she's doing the social content herself and sometimes solicits the help of her team. Farm Girl Flowers has cultivated a very distinctive brand identity and she wants to ensure that it's consistent online and everywhere else. Kristi Hebner, ‎Senior Director, Segment Brand Strategy at CapitalOne Spark Business said that the number one question she sees asked by small business owners is "how can I get more customers". Marketing and sales challenges are indeed one of the biggest needs for small business owners and entrepreneurs. Without sales, you don't have a business; you have a hobby, says Kevin O'Leary of Shark Tank. Watch my interview with Kristi below, or here, for more great insights into how you can build your brand authenticity.